Canephora (aka robusta) is more productive, disease resistant, and high in caffeine content. 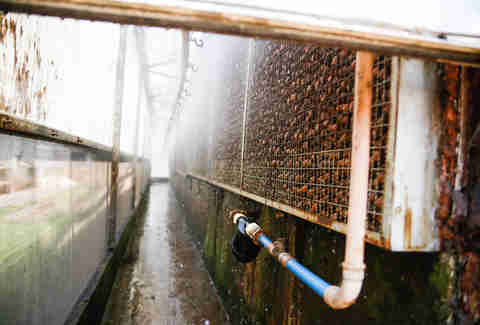 Arabica has 50% more lipids and nearly twice the sugars, which lead to higher acidity and more complex flavor aromatics. 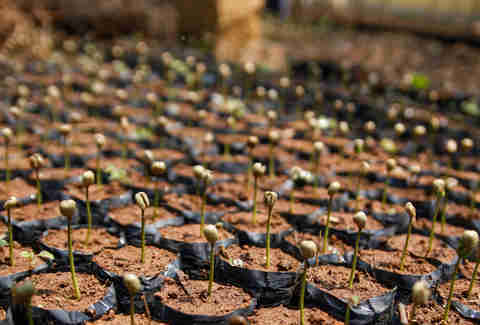 Cheaper coffees tend to be canephora, whereas most specialty coffee is arabica. Each of these species is also further categorized into varietals, with bourbon and typica being the two most common of the arabica strain. The robusta varietal of canephora is so ubiquitous that most roasters will simply label their products as robusta and you'll rarely see the term canephora used outside of more scientific contexts. People always talk about how water-wasteful beef production is, but according to FoodBev.com, that pound of beef requires 1,800gal of water, while a pound of coffee requires 2,500. USA! USA! Germany is next in line. Coffee is unique amongst commodities in that even the most expensive bags of coffee are still pretty cheap if you brew them at home. Bill Gates might be able to drink better wine than you, but when it comes to coffee, you can drink the same stuff as the richest men in the world. 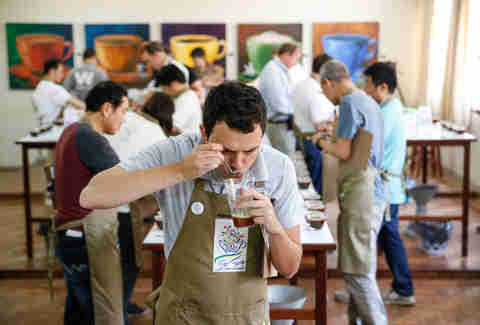 In order to get an accurate impression of all the aspects of a coffee's flavor, judges loudly slurp it across the entirety of their mouth because each part of your mouth is best in tune with different flavors (tongue for sweetness, back of throat for bitterness). Here are 11 of them. The Specialty Coffee Association of America created a flavor wheel that roasters use when assessing the characteristics and defects of specific coffees, ranging from positive associations like apricot or baker's chocolate to negative ones like concrete or straw. 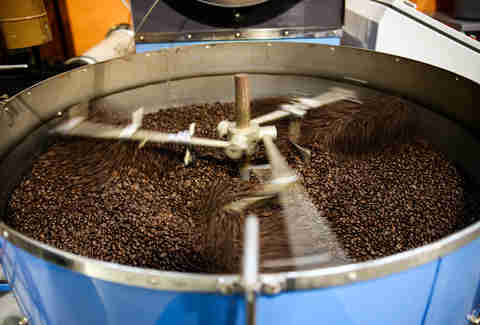 Some sources put the number of coffee aromatic characteristics as high as 1,500, compared to the 200 found in wine. The term derives from the Latin verb meaning "to press out." 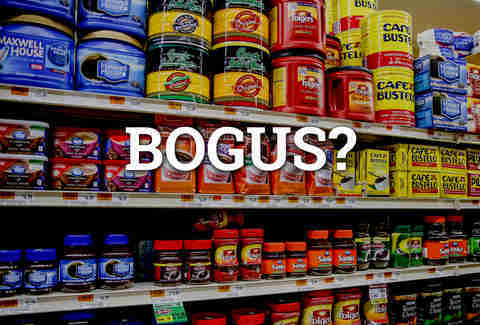 Also, don't pronounce it with an "X" lest you want to seriously enrage a coffee snob. 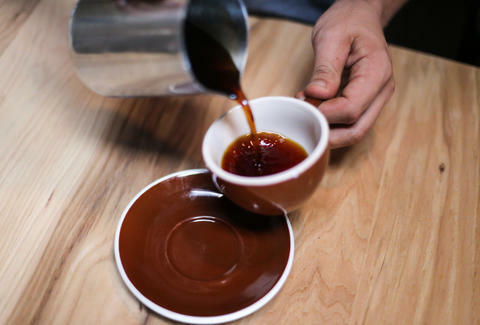 The fine folks at Coffee Chemistry break down the numbers: an 8oz cup of coffee has approximately 2.3x as much caffeine as a 1oz shot of espresso. 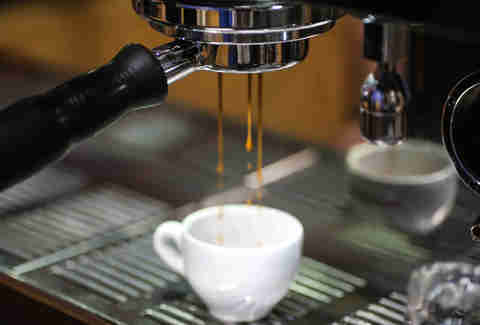 Espresso does have higher caffeine by volume, but the smaller serving size means you're getting much less of a buzz. Coffee stales much quicker once it's been ground, so if you're looking to make the best cup of coffee possible, buy whole beans and grind them at home. It's so important that coffee shops often spend thousands of dollars on a grinder in order to ensure an even, accurate, and highly adjustable grind size. According to official coffee snob standards, it's stale after 15 minutes. Dan Gentile is a staff writer on Thrillist's National Food and Drink team. Learn 19 things you didn't know about house music, the NBA playoffs, and verbs that should be retired by following him at @Dannosphere.